To this point we’ve focused on the resources available to college students that don’t directly involve any “I work, you pay” transactions. This not because a student should avoid work but because college students uniquely have access to other forms of money not readily available to the population at large. It therefore makes sense to explore those first. Whether or not those avenues succeed I highly encourage college students to pursue work with vigor for several reasons. Secondly, even if a student doesn’t need the money work provides he or she will benefit from the connections, the disciplines, the sense of reality and the values that can only come from a job. So much so that employers greatly mistrust graduates with only school-related accomplishments on their resume. We want to know we’re getting a good product. Nothing tells us that more than a little work history. If we’re going to hire you for a big, important job we want to know how you’ve done at your little, relatively unimportant jobs. Thirdly, I rarely find students who don’t need more money than they have through other sources. The surest way I know to obtain money is to go out and work for it. But even if you agree with me wholeheartedly let’s explore the wild world of work before you run off and answer the first help-wanted ad you find. Let’s look generally at the two types of work you have available to you and then hone in on some specific ideas for making a little spare change between bouts with the books. When Al went to school he very much needed the money a job would provide. Like many students he signed on for a campus job of his liking and got to it. The agreement was simple: Al would work a set number of hours per week doing whatever the grounds department needed him to do and in return they would pay him minimum wage, which at that time ran a whopping $4.25 per hour. 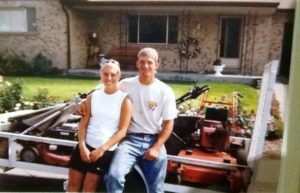 According to schedule he would punch in, look up his daily assignment and get to work emptying trash buckets, shoveling sidewalks, spreading mulch, spraying herbicide on unwanted weeds and on rare, glorious occasions, trim hedges in a dorm courtyard while the girls there sunbathed. He worked hard and at the end of a week would net an extra 50 bucks or so after taxes. Why did Alicia make more? She performed the same basic set of tasks at the same level of work, so why the vastly different results? Did Al’s boss cheat him? Nope, they each participated in opposite economies of work: Al in the economy of time and effort and Alicia in the economy of results. Anytown Facilities Now Hiring Custodian-PT (#2820) $10.46/hr w/benefits. Apply online at www.anytown.usa or in person at 123 Main Street between 8 and 5. Now let’s suppose you respond to this ad and get the job. What’s in it for the parties involved? Your boss would expect some minimal level of time from you each week and a generally acceptable level of effort. You, just like the ad stated, can expect $10.46 per hour in return. If you work extra hard, discover some nifty shortcuts and clean twice as fast as your peers you will get… $10.46 per hour. Too little of either and you may get fired, more than enough and you may get a raise, but the only thing you tend to expect is $10.46 per hour. In some sense this might give a worker comfort and predictability, but it also limits one’s upside. On the other hand, many people work in the economy of results. Here you are not rewarded for either your time or your effort, directly, but rather for what you can produce. Alice made so much more than Andrew because she and her siblings owned an assortment of lawn equipment and contracted with homeowners around town for a certain amount of money each time they mowed the yard. The owners didn’t care one iota how much time it took them to do the job, nor how much effort they put into it, they just wanted to come home to a well-groomed piece of turf. In other words, they paid for the results. In this case if the various parties of Koch’s Lawn Service could figure out how to do more lawns in less time the value of their labor climbed on a per-hour basis. On the other hand if they chose to goof off and get behind they simply didn’t get paid for the undone work. In one sense work in this economy can be much more brutal. There are no guarantees at the start of a project what you’ll come home with, and not always due to factors within your control. If equipment breaks down or you underbid a job, too bad. No results, no pay. However, those who have a competitive edge of some sort—smarts, organization, a strategic mind, equipment, personal networks, creativity, strong work ethic—can flourish in the sorts of jobs this economy engenders. If they can figure out how to get more results with less output the pay relative to their time and effort can be astronomical when compared to others doing similar work under a per-hour arrangement. This explains much of the huge disparity between the haves and have-nots of a society and why the old axiom “the rich get richer, the poor get poorer” so often rings true. Why does this matter to you? It wasn’t that long ago that a person could work their way through college on a pay-as-you-go arrangement doing the sorts of menial work readily available in the form of part-time, per-hour work. Most people going to school in the seventies could toss pizzas at night and use the proceeds to fund their degree. Using broad averages, analyst Randy Olson has concluded that in 1979 a student only had to work 182 hours at minimum wage to cover a year of tuition and fees at a public university. Those days seem to have passed us by thanks to the way tuition costs have far outpaced wage increases. As of 2013, students would have to work 991 hours at minimum wage to pay for that same year at a public school. It’s not impossible, but it’s a much tougher feat for sure. If you’re stumped trying to figure out how to make ends meet with the sorts of low-skilled labor jobs available to you as a student, it may be time to consider work options beyond those that pay an hourly wage. In fact, those types of jobs can often be a trap, offering little incentive to do your best work and no upside if you do, leading you to go broke safely as the bills run ahead of your earnings. As we survey the types of work available to college kids, keep in mind particularly those results economy jobs that might reward you more if you can figure out how to do them better. Also keep in mind that often what an employer ultimately wants when he proffers an hourly wage is a certain job done each day. He or she may be quite happy to work out an arrangement accordingly. The willing and able student has no shortage of job options available to him while he is in school. In fact, as with “free” money the college student will likely find work-related income easier to come by during college than at any other time in life. A whole host of opportunities await those who can see it. I would encourage you, therefore, to think about the benefits you want from the job before you start on your search. You may suffer opportunity costs by simply taking the first job that comes along. Firstly, how do you want to be paid? It’s your choice whether you’ll seek time and effort work or results work or perhaps a bit of each. Secondly, how much do you want to be paid? Perhaps you have a clearly defined need as discovered in the Resources exercises. Perhaps you can afford to hold out for a pay that gets you thinking beyond tuition and books. Put a number in mind and shoot for it, compromising if this doesn’t materialize. Thirdly, what other non-pay benefits would help you out? Aside from money, you may want to seek firstly jobs that provide you perks beyond that of other jobs—certain contacts, educational experiences, comp food, flex times, facilities access and so forth.